Racial harmony, where people are respected by the quality of their character not by the colour of their skin. A world where religious differences are not used as a tool for judgement and condemnation but as a guide to live together with strength and dignity. My perfect world has good coffee and great food- for everyone! In my perfect world no-one is cold, or homeless and every man, woman, and child is allowed the freedom to be loved and to love. In my perfect world we still win all the All Black games but all people have the opportunity to pursue leisure and nature and not work ridiculous hours for a pathetic salary. In my perfect world, the birds still sing, the waters are clear, kids play in the beach and all people can walk in the bush! So this book is about a perfect world- what does this world look like? 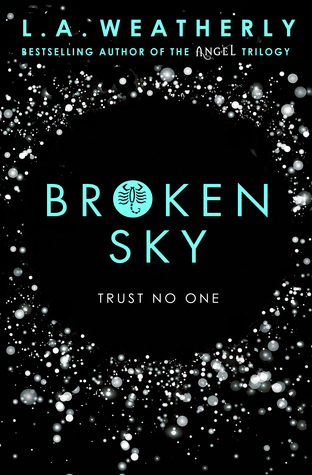 Broken Sky is the first book of the Broken trilogy, set in a dystopian America that is reminiscent of the 1940s. In this world nuclear war has been banned after WWII and disputes between countries are settled by pilots who are known as Peacefighters. America has been split into sections, with the leader of the Central States running his country based on Astrology. In the Broken Sky world having the wrong star sign can be fatal. Basically, everybody in the Central States has their Astrology charts done and if there is anything in their stars that could mean trouble they are labelled 'Discordant' and sent to concentration camps very similar to Nazi Germany. The evil leader of the Central States is looking to increase his power of course. The main character, Amity, is a Peacefighter for the Western Seaboard which once used to be part of the USA. Amity is a brilliant YA heroine. She's tough but fair and is one of the best Peacefighters for the Western Seaboard. She has to battle deception, betrayal, and corruption to protect herself and her family. Broken Sky is also written from the point of view of Kay who is an astrologist in the Central States. She doesn't believe in Astrology in the slightest but she is skilled at reading people and telling them what they want to hear. During the novel she manages to work her way up to becoming the top Astrologer for the Central States, so we learn a lot about the evilly enigmatic Central States leader through her. 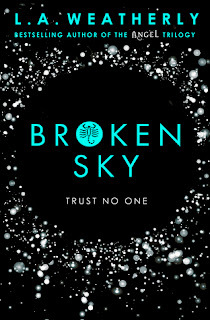 Broken Sky is perfect for all the dystopian lovers out there. There is plenty of action, adventure, deception, romance, and betrayal.